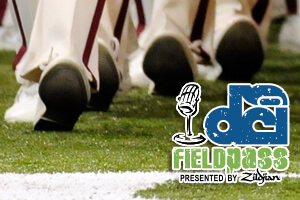 2010 Starts Today - Your DCI Summer Tour Preview! The 2010 Drum Corps International Tour steps off today and DCI's Field Pass presented by Zildjian has your season preview! Hall of Famers Michael Cesario and Marc Sylvester join Dan Potter for the first of a multi-part series exploring the 2010 productions of last year's Top 12. Today, a look back to 2009, why Cesario declares that 2010 will be "The Year of the Fan," thoughts on this year's Troopers and Blue Knights, and the return of the Field Pass Time Capsule Contest!